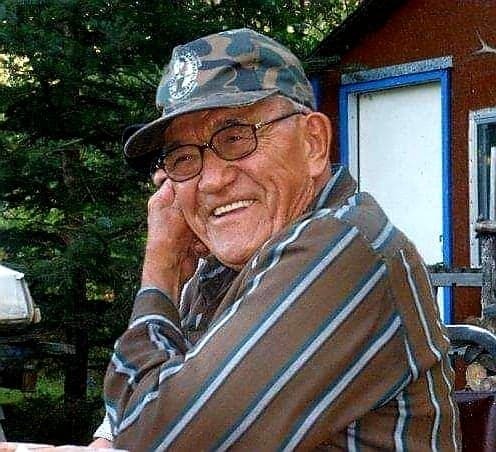 Alex McKenzie of Crane River passed away on Sunday, February 3, 2019 at the age of 87 years. Alex, our beloved Dad, Papa, Uncle and Friend was a hardworking simple man his whole life, starting about the age 12 to help support his family. He was a great provider for his spouse and children. He truly enjoyed the company of people, but had a special spot in his heart for the children. He always had treats and made time for them. Being a very generous man, he would offer a helping hand wherever and whenever he could. Alex had a great love for his little dog Teddy, I guess man's best friend describes their relationship perfectly. Throughout his life Dad enjoyed hunting, fishing, trapping and playing baseball with his one of a kind pitching style. Alex was a great fiddle player and jigger for which he won many contests. He was musically gifted and learned songs by ear. Dad loved to spend time in his garden and tending to his ever growing house plant. Alex enjoyed life in general but was a kidder and prankster too. He would laugh so hard at you and with you, but it was all in good fun. He was very much loved by his family, friends, and all he met because of his kind heart and will be missed. The service concluded at the church with cremation to follow. Interment in the Crane River Parish Cemetery will take place at a later date.